We are a small and vibrant primary school in West London. Our close knit family community of staff, parents and governors aims to ensure that all children are safe, achieve well and are happy and healthy. We provide a broad and balanced curriculum which inspires a love of learning and targets individual needs. I like this school because it has high standards of education and cares for pupils. Very helpful staff, multicultural and small (feels like my family). Home away from home – the school keeps getting the parents involved and keeps finding interesting ways to help the development of the kids! It’s a good school. I saw lots of schools before but this is a good school – East Acton Primary. 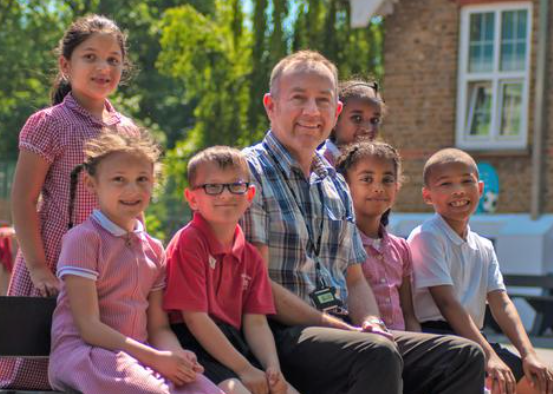 East Acton Primary is very good because the teachers are doing very well. East Acton Primary is a very good school. Good at safeguarding children and to see that the children are happy and able to talk to any member of staff. The children learn well and are happy." • The school continues to be good. • …staff and governors are committed to keeping pupils safe in a highly nurturing environment. • Pupils take great pride in their school. They talk fondly about their teachers, and they take their responsibilities seriously. • Pupils display positive attitudes to learning. They are focused and actively engaged in lessons. This website aims to give you a flavour of our school, as well as providing up to date information for parents, pupils and the wider community. We hope that you enjoy your visit to our website and that you find the information you are looking for. Please feel free to contact us directly with any queries you may have. If you would like to visit the school for a tour, please give us a call to arrange a suitable time.